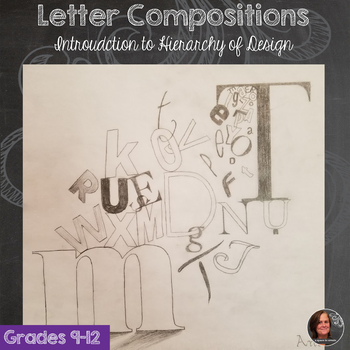 In this lesson students trace over letters in magazines and try to create 3 levels of hierarchy or emphasis in their design. I compare it to a Shout, Speak and Whisper. 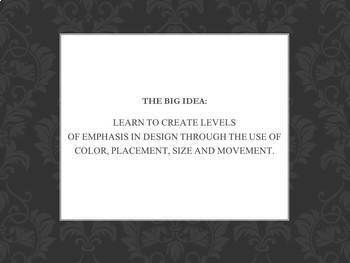 Students learn about ways to create emphasis, including color, placement, movement and size. 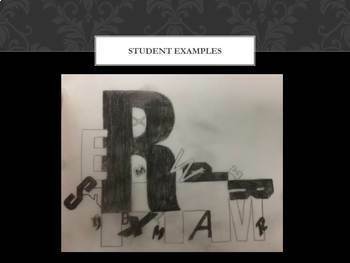 This is a quick lesson students love that delivers lasting meaning to the hierarchy of design. 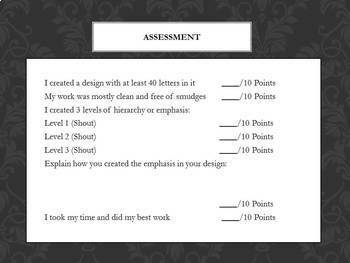 4 page Lesson Plan with National Standards for Visual Arts, Enduring Understanding, Essential questions, Objectives, Instructional Materials, Supplies, detailed process and vocabulary.